This could be a long blog today. For one thing, I’m snowed in and there’s not much else to do but listen to and record LP’s. So I’m in heaven. I should share how all of this LP recording got started. I have been an avid purchaser of Vinyl since I was 9 years old. I built up a large personal collection during my teen years and college. I worked at a record and stereo shop during the summer when I was in college and could buy LP’s at cost. It was like hiring a drug addict to run a pharmacy! I feel in love with this girl in college and she lived in Kansas. I sold my Rock albums to buy a plane ticket to see her during the summer. This was one of the worst decisions I ever made! It has taken me years to rebuild that piece of my collection. It still is not what it was. Some things can’t be replaced. 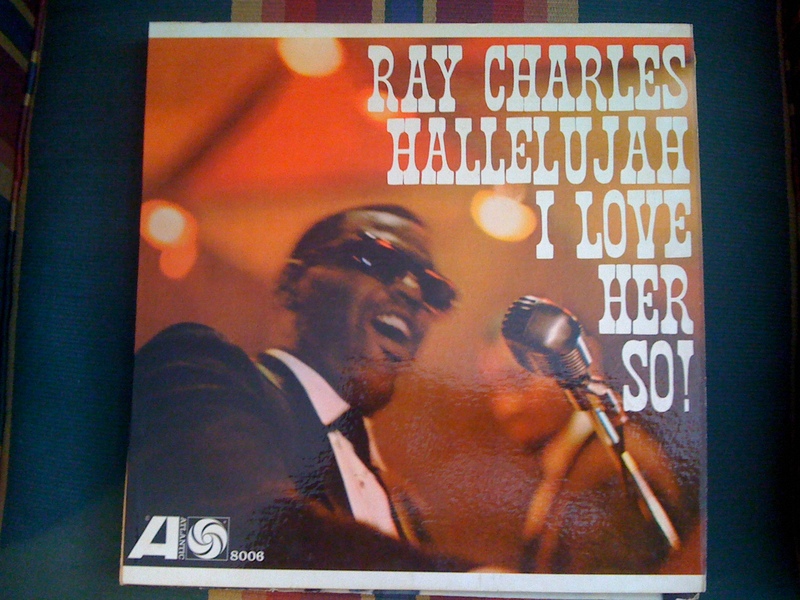 As Kurt Vonnegut says…”So it goes…” I did hang on to the Jazz and Classical albums and I do love them. Of course CD’s came along and I put up my LP’s for digital sound. My turntable broke down and I never replaced. Years pass… The CD collection gets quite out of hand. I meet a woman, fall and love and get married for the second time. She is a saint. She encourages me to pursue my musical interests. About seven years ago I buy a new stereo system and I include a Rega P-2 turntable. I dust off the LP’s. The first one I put on was Miles Davis “Kind of Blue”. I’m hooked all over again. I’m back collecting vinyl. Shortly after I begin to try to figure out how to turn these treasures into CD so they are portable and I can listen to them in my car, at other peoples houses, etc… My friend Raymond ( who is a techie Genius) helps me research the Digital Audio Converter. I begin to transfer vinyl. There was a lot to learn. Some mistakes were made. I had to do some over again. But now it’s an organized, systematic, process. I know exactly what I’m doing now. The next thing that happened was that I told people I had this capability. I’m at a friends house and He gets very excited that I can work this magic. He goes into a spare bedroom and brings out 2 boxes of LP’s. He says “take ’em with you and bring them back when you’re done” . There were 100 LP’s. I’m about 2/3rds of the way through his collection. The “Aretha’s Greatest Hits” was one of his LP’s. I refer to this set of LP’s as the Jackley collection. 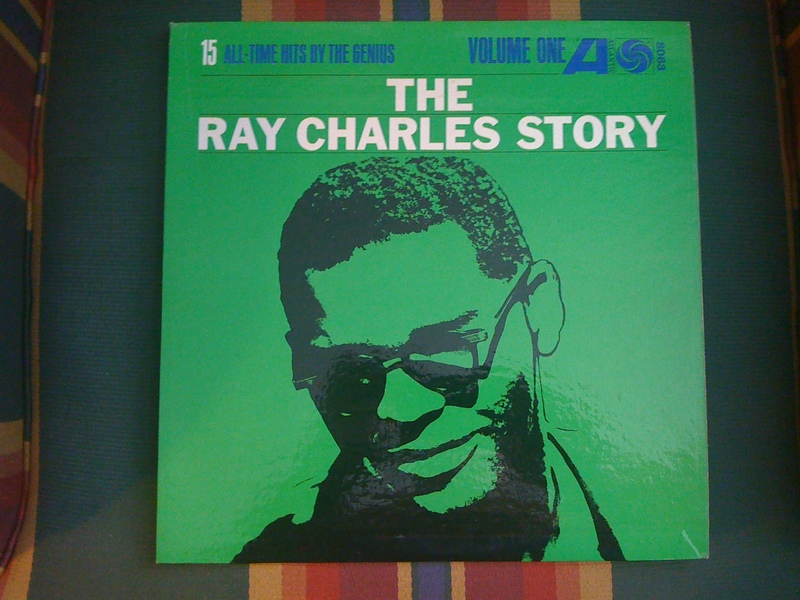 There have been some real gems that have come out of this set of LP’s. Then my neighbor came over one day to ask a favor and I happened to be in the middle of a listening/recording session. He asked what I was doing and when I told him, he got very excited. He says,”I’ll be right back!” He returns with about 50 LP’s and says, (you can guess it) “keep ’em till you’re done.” I refer tho this collection as the RB collection, I’m about half way through his collection. Meanwhile the progress on my collect has slowed down. The next major incident is hard to write about because it involves tragedy. A year ago I lost my brother-in-law to cancer. He was a true Renaissance Man. He was a software engineer, a cook, an artist (painting and pottery), a collector of art, a music lover, and an avid traveler and outdoors-man. This really doesn’t scratch the surface of this amazing person. My sister-in-law gave me his LP collection. There are about 170 LP’s of all types. He had Jazz, Rock, Classical, electronic, international, and on and on it goes… It is a great treasure to me because it was his and it reminds me of him; and because the content is so good! I refer to it as Bob’s garage. 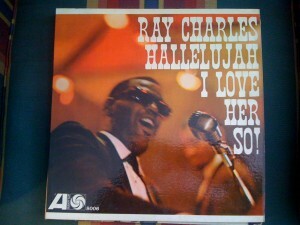 When I blog about an LP I will try to remember to let you know about which collection it comes from. For some reason I am a magnet that causes people to give me music. It has come to me in every format you can imagine. And just like any good hoarder I cannot refuse it. So I am in the middle of a giant project that is a labor of love. Some of the LP’s I have already transfered are so interesting they will be worth re-visiting later on. Right now I am trying to blog about what I am currently working on. I have a backlog of LP’s to write about because of the weather and the extra time I’ve had to work on things. Part 1: Hey Bo Diddley… So that brings us to today’s listening session. 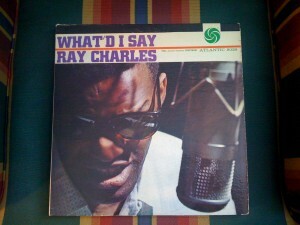 Three Ray Charles LP’s and the very first Bo Diddley LP. All four of these LP’s came from my neighbor’s collection. I nearly flipped out when I saw these LP’s. 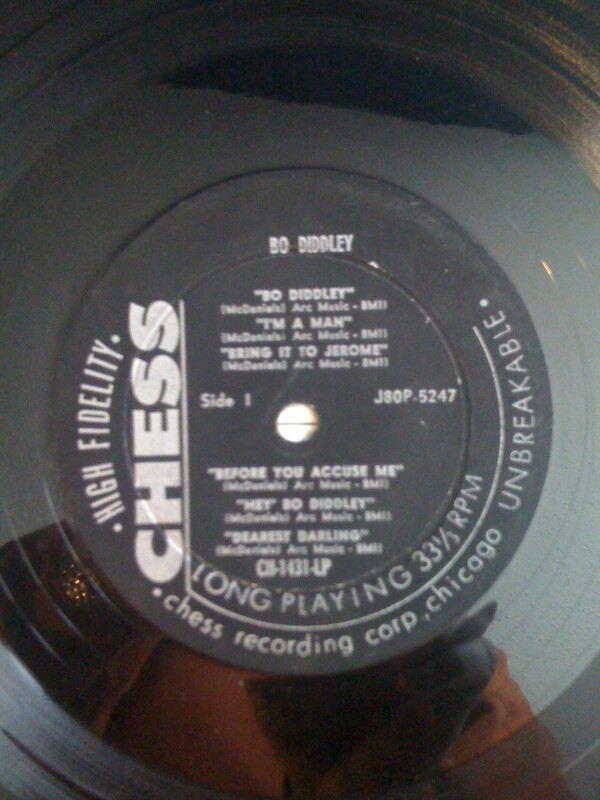 Bo Diddley on Chess Records LP 1431. This was one the great influences on the Rolling Stones. How cool is this album cover! There’s Bo blasting out the blues in the middle of the cover. Off on the far left is the maraca player Jerome Green. He played four maraca’s in each hand! Very cool stuff. Jerome was almost like a brother to Bo Diddley but his drinking drove him out of the band. I’m not sure what happened to him. The Rolling Stones first major tour was with Bo Diddley, Little Richard, The Everly Brothers, and someone named Mickey Most. He had a hit single that year (1963) Called “Mister Poster”. The funny part is that Keith Richards had to keep up with Jerome Green because he would disappear right before he had to go on stage so he could get a drink in a bar! Can you imagine Keith was the sober one! Anyway on to the music and what awesome music it is! Side 1 1.Bo Diddley The genius of repetitive music as it builds and cast it’s spell. Don’t you love the bluesy almost rockabilly beat? 2.I’m A Man Bo was a giant of a man and I bet when he sang this live you believed him. 3.Bring It To Jerome This song is about the maraca player. 4.Before You Accuse Me Forever associated with Bo Diddley! I also love the Eric Clapton version. 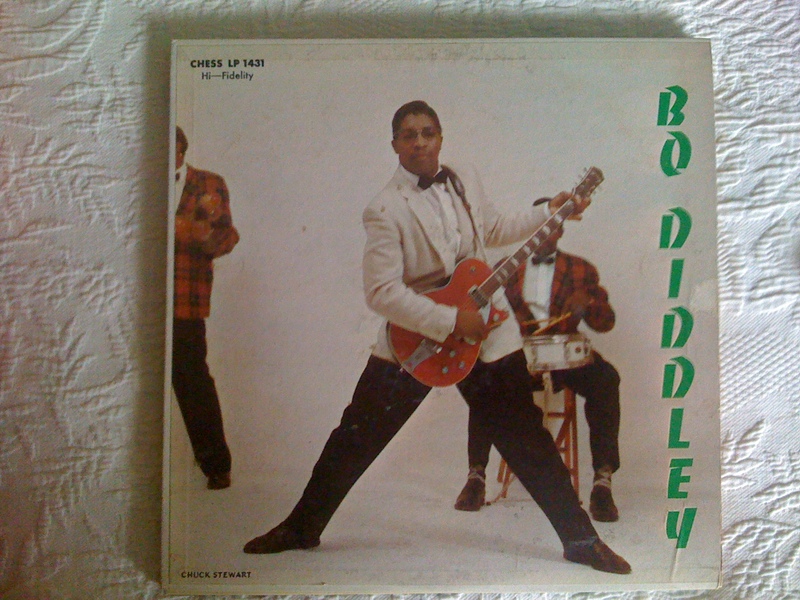 5.Hey Bo Diddley I love the back up singer “Hey Bo Diddley!” Even his name was rhythmic and musical. 6.Dearest Darling Jerome’s maraca’s make the song. Side 2 1.Hush Your Mouth I love the piano and the maraca’s. The sound is almost primitive. Call and response stuff. I can see why the Rolling Stones worshiped Bo. 2.Say Boss Man A song about the curse of the workin’ man. You can hear the sound of the machines as the laborer toils away for the benefit of his family. 3.Diddley Daddy Listen closely as Bo plays the acoustic guitar. You can hear the soul of Robert Johnson. 4.Diddey Wah Diddey This song is so great I don’t know what to say about it. I love the bending string break and the walkin’ bass. It has drama and subtleties that infect you and make you move. 5.Who Do You Love This is the first song I ever heard Bo Diddley sing. It’s been covered by everybody, but the original is still the best! Don’t you love the voodoo lyrics? 6.Pretty Thing A conversation between Bo and the harmonica. A great example of the importance of the harmonica in blues. Very cool harp playing! Elias McDanials wrote every song on the record. This name is not known to many but it is the real name of Bo Diddley! 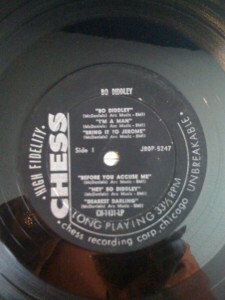 I love all the Diddley songs on the record. (Bo Diddley, Hey’ Bo Diddley, Diddley Daddy, Diddey Wah Diddy) He ran out of Diddy names so he used Jerome once. These songs sound ancient, like they always existed yet he wrote them all in the late 1950’s and early 60’s. What a treat to hear this on an original Chess Record label. If you want to see a great movie about the history of Chess Records. Check out ‘Cadillac Records”. Very Cool story about Marshall Chess, who recorded the likes of Etta James, Howlin’ Wolf, Muddy Waters, Bobby Womack, Buddy Guy, Chuck Berry, Willie Dixon, and of course, Bo Diddley. Marshall recorded Etta James song: “At Last”. Think of the impact this man had on Rock and Roll. When a ‘Chess” artist had a gold record Marshall would buy them a Cadillac. He supported Black artists when almost no one else would and his goal was to have cross-over hits so they could be heard by white audiences. Some of the greatest blues records of all time were recorded at 2120 South Michigan Ave. The music is so great, I have nothing to add. You can’t see it, you’ve got to feel it. That’s enough. 1.Halleluhan I Love Her So One of his best. The merging of R&B, Gospel, and Soul. Wow! Last but not least “The Ray Charles Story”. I have only linked the songs that are not on the other two albums.